Ever since I opened MIY Workshop in January I’ve been itching to paint the shop front. As we had been enjoying a spell of nice spring weather in Brighton and my dad was happy to escape the impending spring snow in Sheffield I set him to work with his paintbrush this week! Here’s the end result. Not a trace of lilac left in sight inside or out. 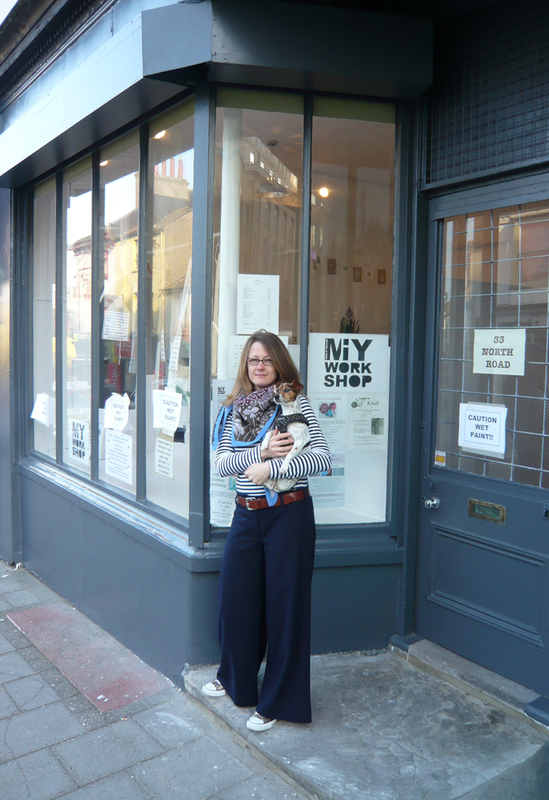 Me and Gypsy dog outside the new look MIY Workshop. The sign man is coming next week to get some nice bright signage sorted. All very exciting. 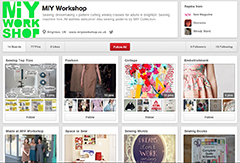 This entry was posted in MIY Workshop and tagged MIY Workshop, Wendy Ward. Bookmark the permalink.